Add a little bit of Halloween flair to your front door with this easy-to-make “always watching” creepy eyeball DIY Halloween wreath. 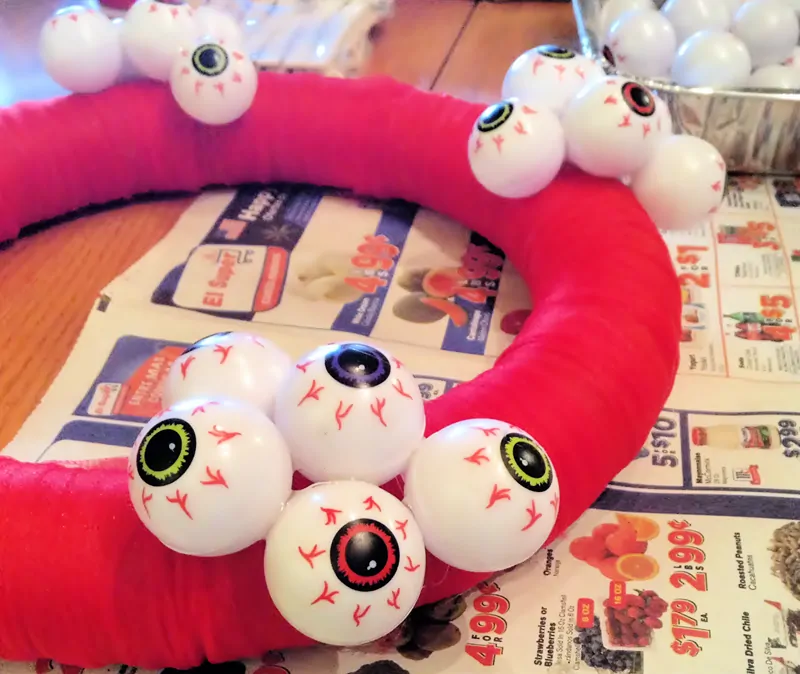 This DIY Halloween wreath is ridiculous easy to make. Not to mention super cheap to make as well. You can purchase pretty much all of the supplies needed from this Halloween DIY project at the dollar store. But to be honest, it is most likely to be more economical to buy your tulle elsewhere since the tulle at the dollar store comes on a very small roll and you will end up needing to purchase several rolls to cover the wreath. Our roll of red tulle roll cost around $3 at Walmart and was more than enough for the project. We even had some left over. Enjoy this easy Halloween wreath project and have a very Happy Halloween! 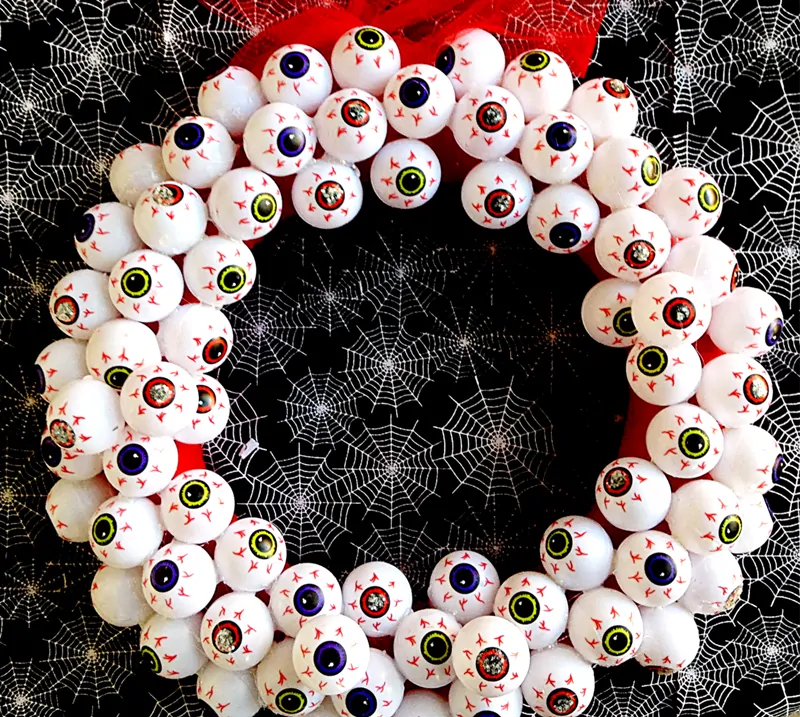 Add a little bit of Halloween flair to your front door with this easy-to-make "always watching" creepy eyeball DIY Halloween wreath. Wrap tulle around the wreath form, pushing tulle together to ensure nice and even coverage. Tie a long loop of tulle to the top of the wreath form to use as a hanger. 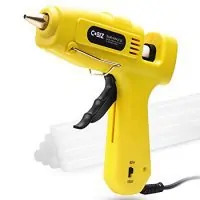 Using a glue gun, attach the plastic eyeballs to form. The eyes may slide a little on the tulle before drying completely, use glue to secure the eyes to each other as well as to the tulle. 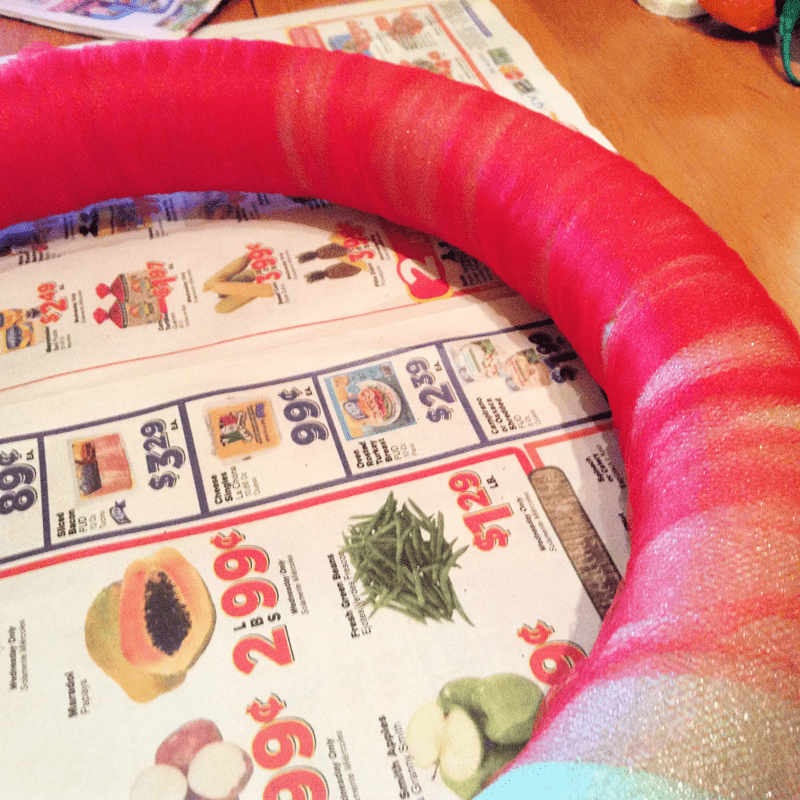 Once the wreath is covered to your liking, select a few eyeballs at random and add a coat of glitter, if desired. Love this idea! I saw eyeballs at my last dollar store trip and was trying to think of what to make with them. This is it!